The Pound has taken a dive on Brexit news, with the Guardian citing Labour leader Corbyn saying that there “is no agreement yet” between his side and the government on a compromise plan for leaving the EU. Talks have been ongoing on many issues, but the two big sticking points — the UK remaining in the EU customs union and for there being a confirmatory referendum — won’t be discussed until after Easter. That has led to newswires headlines of the talks having ‘stalled’, though in reality they are ongoing, albeit with diminished expectations for the two sides coming together. Cable dove to a 1.3048 low, a 1-week low, while EURGBP lifted to a 2-session high at 0.8653. At the moment, all options remain open with regard to Brexit, ranging from the no-deal Brexit scenario, to a “soft” form of Brexit, to remaining in the EU. A lot will depend on whether Parliament has the inclination for a soft version of Brexit (whereby the UK leaves the EU’s political institutions while remaining economically attached via staying in the customs union or single market, or both), which ex-PM Tony Blair, among others have dubbed a “pointless Brexit” as these forms of Brexit would leave the UK subject to EU rules without having a say in them. The probabilities of confirmatory referendum to given the public a final say, are increasing. 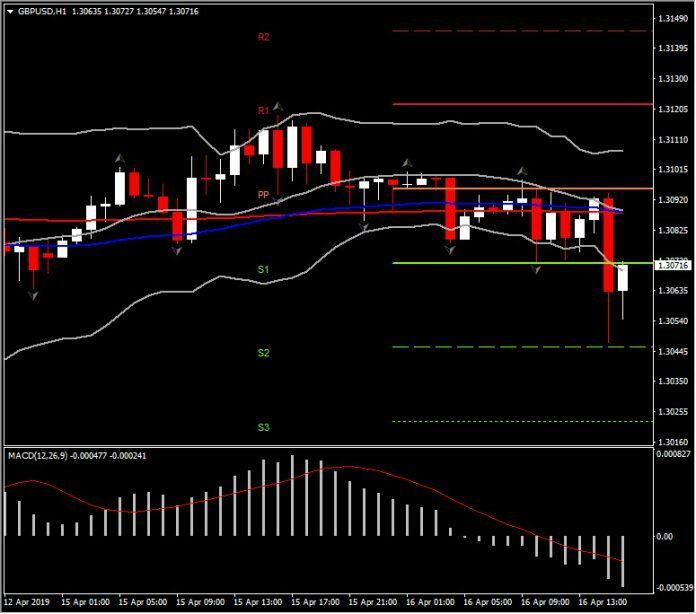 Cable’s next Support is set at 1.3044 and 1.3020, with momentum indicators suggesting further decline within the day. MACD is extending its line lower above signal line while RSI remains below neutral.